Good thing it's so damn charming. 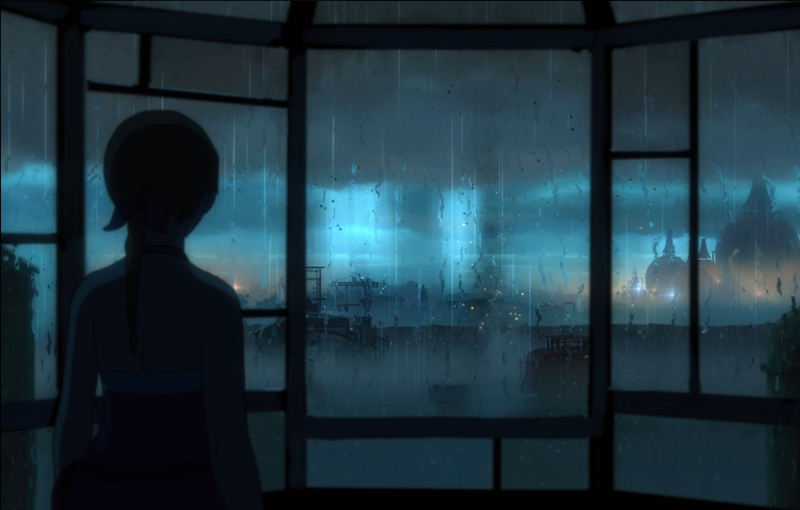 Forgotton Anne looks like a gentle animated feature film you can't quite remember the name of, with an art style somewhere between Studio Ghibli and those curious kids' animation series I used to watch from Europe. The charming characters, mostly anthropomorphic objects called forgotlings, make for an entertaining adventure, combined with occasionally smart puzzles and surprising gameplay twists. That said, ThroughLine Games have made a gorgeous animated story where the gameplay comes second. It's easiest to describe Forgotton Anne in terms of other games: It's a platform game like the original, original Prince of Persia, but without the death -- in fact, I don't think you can die. It's also got some Monkey Island-esque exploration scenes, and dialog-based dilemmas crop up throughout. Then there's a generally simple, puzzle-based component to slow down exploration and eke out the story. These center on the Arca, your font of power as Enforcer of this fictional realm of forgotlings. Strapped to the palm of your hand, the gadget has the ability to draw Anima (magical sci-fi MacGuffin energy) from batteries, engines and even pesky living objects if you're feeling dark. It'll also power your winged accessory that adds height and distance to your jump. You'll need it: Platforming puzzles typically center on the give-and-take of carrying and discharging Anima energy, while still being able to traverse the world with some wing-assisted jumps and climbs. The world itself is a place where lost items like clothes and furniture live on, apparently waiting to be reunited with their owners in the Ether, which is framed as the world all these objects came from. However, Anne, who you play as, is one of only two humans, and the other one is a surly older man named Master Bonku, who seems to run the entire place -- what's going on? Anne is tasked with sorting out issues between forgotlings, and the game kicks off just after a rebellious faction of scarves, shoes, mannequins and more attack facilities and shut down power. In the first few scenes, you encounter a decision about how to deal with a deceptive scarf. Without spoiling things, you can choose to end him or let him get away. While the game doesn't signpost it, most of these decisions lead to repercussions later. We're not talking Mass Effect levels of branching storylines and consequences here, but the story gives the player a bit of choice, even if Anne is kind of frustrating (and dull) as a character -- at least until later. Fortunately, the supporting cast of talking objects is charming. The developers have distributed plenty of international accents and dialects to ensure every object you talk to feels, to be honest, far more fleshed-out than they need to be. A few examples: There's an excessively mellow lava lamp that slowly talks in a California slur, the rapier-wielding mannequin has a British accent to go alongside his rakish behavior; an old-fashioned folding camera has the wizened grandmotherly voice you might expect. Like the voice acting, the music is suitably big-budget, combining gorgeous orchestral scores with smaller-scale musical arrangements. As you move through layers of a building or structure, the melodies will gently change to represent what's going on. A hidden underground speakeasy gets a different track as you flit between the bar, the stage and the roof rafters. It's a smart way of pointing out different characters you might not have noticed before. Similarly, the in-game camera cleverly pans out and crops to help signpost your way through early levels -- without it, you might not have realized that side alley in the beautiful background is actually where you've got to go next. When it comes to the puzzles and negotiating platforms, you'll find that timing is frustratingly sluggish for leaps, while the puzzles (typically involving sliding parts, door switches and using Anima to power machinery) aren't going to tax your mind too much. While restoring power to the factory or navigating broken bridges, I found myself yearning for more interactions with forgotlings. Most of the puzzles are simple, though I did get stuck on one involving a rotary dial phone, but I'm putting that down to the fact I've never touched one in my life. There are touches of emotional heft as the story starts to coalesce: Anne yearns to know where she came from and who her mother was. Meanwhile, Master Bonku is protective of her to the point of deception. It all sounds like an animated movie, and playing it doesn't change that sensation -- it's just a shame there's not a little more depth to the parts of Forgotton Anne where you're in control.